Registration is now open. Early bird discounts available for Travel Registrations received by February 15th, so act now! 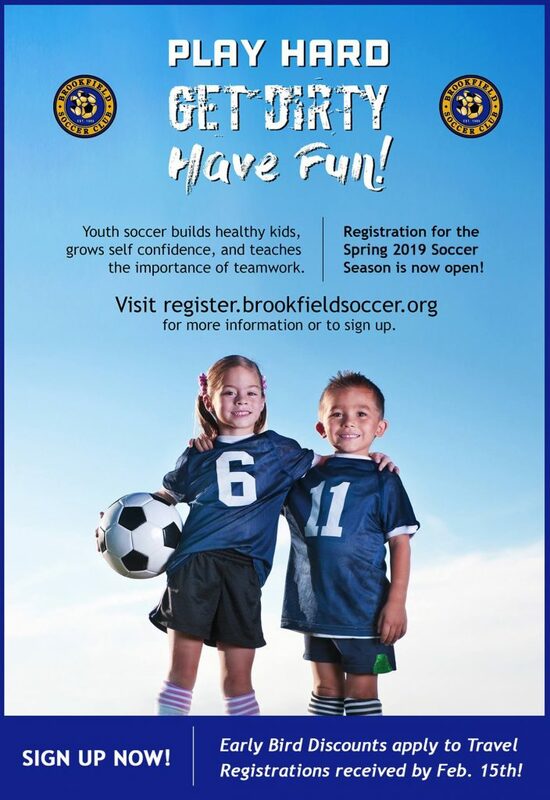 More information can be found at www.brookfieldsoccer.org or by emailing the registrar at brianreale@sbcglobal.net Programs are offered for U4, U6, and U8 on Saturdays at Cadigan Park and travel programs for U9 and older.